capacity to dorsiflex the foot. Injury to the Achilles tendon or to the gastrosoleus complex impairs plantar flexion. Measure invertors and evertors. With the patient seated, have the patient invert and then evert the foot against resistance. Measure the quadriceps and hamstrings. With the patient seated, have the patient extend and then flex the knee against resistance. Measure the hip flexors and extensors. With the patient seated, have the patient raise the knee off the examination table against the examiner's downward opposing force. Hip extensors can be assessed by asking the patient to rise from a seated position unassisted. 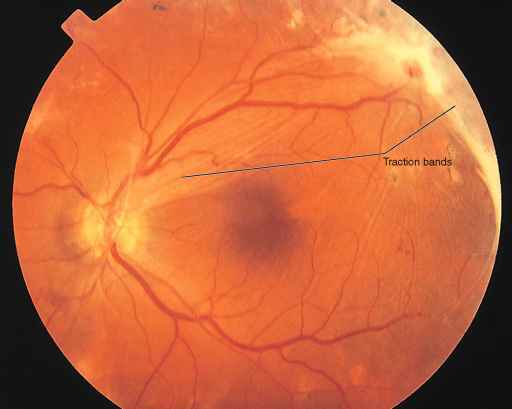 Human immunodeficiency virus-related myopathy affects proximal muscle groups first, and patients may initially complain of difficulty rising from a chair or climbing stairs. The patient is instructed to sit, and the range of motion of the neck is assessed. The patient is asked to put his or her chin on the chest, with the mouth closed, as shown in Figure 20-28. This tests full flexion of the neck. To test full extension of the neck, place your hand between the patient's occiput and spinous processes of C7. Instruct the patient to trap your hand by extending the neck. This is shown in Figure 20-29. Evaluate rotation of the neck by asking the patient to rotate the neck to one side and touch chin to shoulder. This is shown in Figure 20-30. The examination is then repeated on the other side. 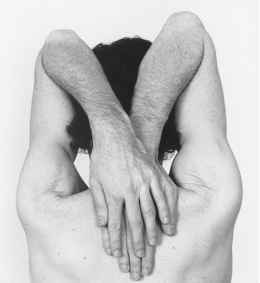 The patient is instructed to stretch out the arms, with the fingers spread. 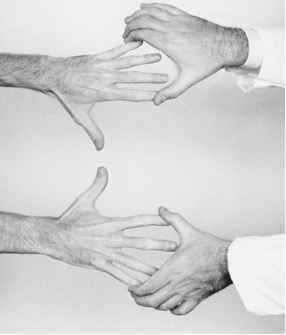 The examiner attempts to compress the fingers together against resistance, as shown in Figure 20-31. This tests the intrinsic muscles of the hands. 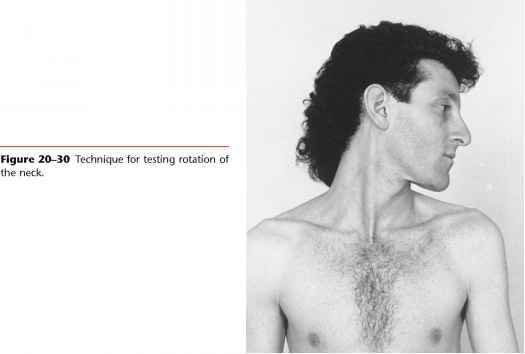 Figure 20-29 Technique for testing extension of the neck. To test the functional range of rotation of the humerus and the shoulder, acromioclavicular, and sternoclavicular joints, instruct the patient to abduct the arms fully and place the palms together above the head. The arms should touch the patient's ears with the head and cervical spine in the vertical position. This is shown in Figure 20-32. Figure 20-31 Technique for testing the intrinsic muscles of the hand. in Figure 20-33. This maneuver tests internal rotation of the humerus and range of motion at the elbow. The final test of the screening examination assesses the power of the major groups of muscles in the upper extremities. The patient is asked to grasp the examiner's index and middle fingers in each hand. The patient is instructed to resist upward, downward, lateral, and medial movement by the examiner. This position is shown in Figure 20-34. 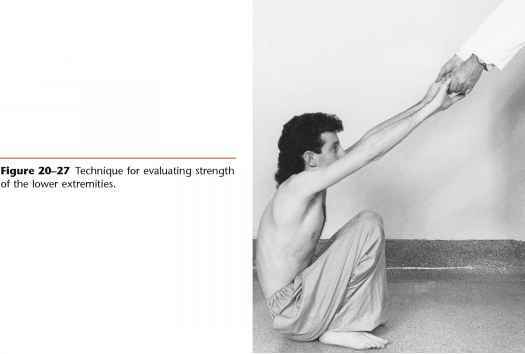 Figure 20-32 Technique for testing external rotation of the arm. Figure 20-33 Technique for testing internal rotation of the arm.